Photo courtesy of The Citadel Archives and Museum, Charleston, S.C.
bombardier on a Liberator, and was stationed at Bari, Italy. of Clovis, New Mexico and Lt. Sprott were married November 6, 1943. Japanese. he was with the Coast Artillery at Bataan. August 1943 at Danning, New Mexico. – Source: The Press and Standard, Walterboro, S.C., Thursday, April 20, 1944, p.1. confirming this notification. She had received a similar telegram. was stationed at Bari, Italy when his place was shot down by the enemy. leaving that institution to enter the service of his country in October, 1942. 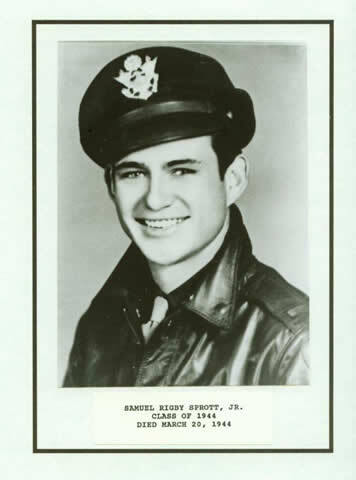 He received his wings in August, 1943 at Danning, New Mexico. his son was missing in action. – Source: The Press and Standard, Walterboro, S.C., August 30, 1945, p.1. greeting” on V-Mail to their homes. and nine o’clock to fire rockets. One of our aircraft was shot down by the enemy. 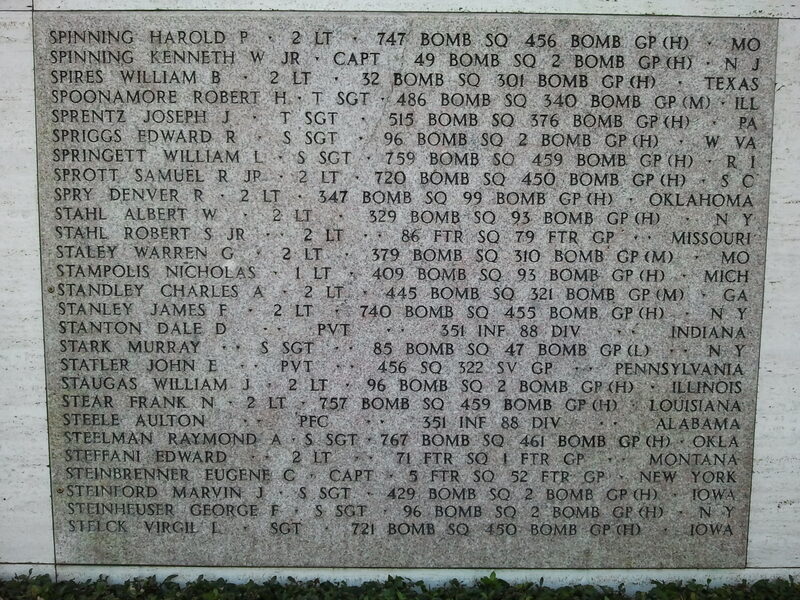 Source: Historical Record – March 1944, Headquarters 720th Bomber Squadron. available in the S-2 Narrative, 450th BG for March 24, 1944. 2nd Lt. Hodgson (Ralph) may have also attended The Citadel. I met a his brother who noticed The Citadel on my jacket and said his brother (Ralph Hodgson) was a went to The Citadel as was shot down in the Adriatic which fits this story. How can I check to see if this is true?